bite me. 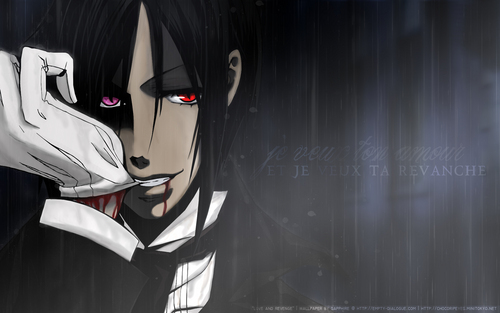 sebastian black butler. HD Wallpaper and background images in the 흑집사 club tagged: gothic black butler kuroshitsuji screencaps black butler phantomhive sebastian. This 흑집사 wallpaper might contain 기호, 포스터, 텍스트, 칠판, 사인, and 서명. "I will always be 의해 your side, Young Master." 당신 May 키스 The Bride. "I want your love and I want your revenge."